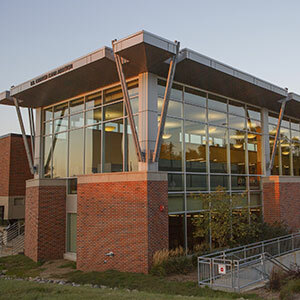 Criss Library Archives & Special Collections ensures UNO’s unique, rare, and specialized collections of institutional archives, personal papers, organizational records, rare books, and other material are available for public use. You can search our collections to find material related to your research interests before visiting Archives & Special Collections. When you've found materials you'd like to explore further, visit us in our reading room or contact us if you are unable to visit Omaha. Archives & Special Collections Finding Aids: Search inventories for archival and manuscript collections. Includes links to digitized material when available. Note that in addition to collections held by UNO Libraries, finding aids for collections held by all University of Nebraska campuses are found in this database, so you may want to filter your results to only collections from UNO's repository. Library Catalog: Search for all books and published material. Includes links to digitized material when available. Digital Collections: Digitized material is available across several platforms and this page will direct you to individual platforms such as the Gateway student newspaper or Queer Omaha Archives. UNO Libraries is committed to preserving these collections to ensure they are available to current and future generations of researchers. Due to the rare and unique nature of the material in Archives & Special Collections, specific guidelines to access and use the collection apply. To ensure that materials are well-cared for and available for future use, all researchers are required to read and agree to our reading room policy. All material must be used in the Archives & Special Collections reading room. Bring your camera, laptop, and other electronic devices to aid your research. Lockers and a coat closet are available for you to store bags and jackets while using the reading room. Appointments are not required, but can ensure that your visit is as productive as possible if you contact us in advance to discuss your visit or research interest. If you cannot visit during our regularly scheduled hours of operation, contact us to request an appointment for another time. Not visiting campus? Contact us to discuss reproductions or interlibrary loan requests.